The best way to get around the island - in style. 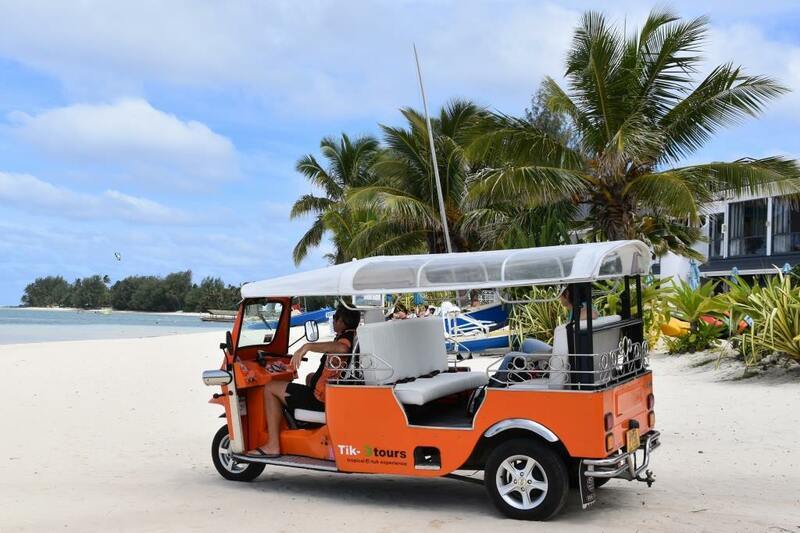 There’s no better way to explore Rarotonga than on one of our colourful and environmentally friendly electric Tuk Tuks or our newly introduced e-bikes. 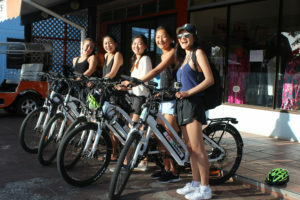 We offer a wide range of services that includes island tours, e-bike hire, wedding limousines, airport transfers, dinner transfers, and of course our famous sunset cocktail happy hour hop. Were 100% electric, 100% fun, and 100% safe. There is nowhere else in the Pacific Islands where you can experience the open air and silence of an electric vehicle that lets you immerse yourself in the tropical surroundings while your local guide shares the hidden secrets and magic of our little piece of paradise. Feel like exploring on your own? Circumnavigate the island at your own pace on one of our e-bikes. You’ll comfortably make it around the island while weaving between the main road and back road and stopping at various points of interest along the way. We’re pretty sure you will have a lot of fun with us…just check out our reviews on Trip Advisor and Facebook. If you’re coming to visit Rarotonga or have an upcoming event on the island, let us make it a little more special for you in our earth friendly modes of transport. Just call us or email us and we’ll make sure this is the most fun you will have on two and three wheels.